Bait Socks are used to keep large bait alive and frisky. The live bait is then free-lined, drifted or trolled to catch large game fish. From the smallest bait to the largest bait the full length flexible conical shape perfectly contours to your bait’s body providing perfect flow through the baits mouth and over the gills. Traditional tuna tubes are rigid polyethylene or pvc and do not conform to the baits body which causes inefficient flow resulting in sluggish or dead baits. Traditional bait tubes employ a single huge expensive swimming pool pump that feeds multiple tubes. 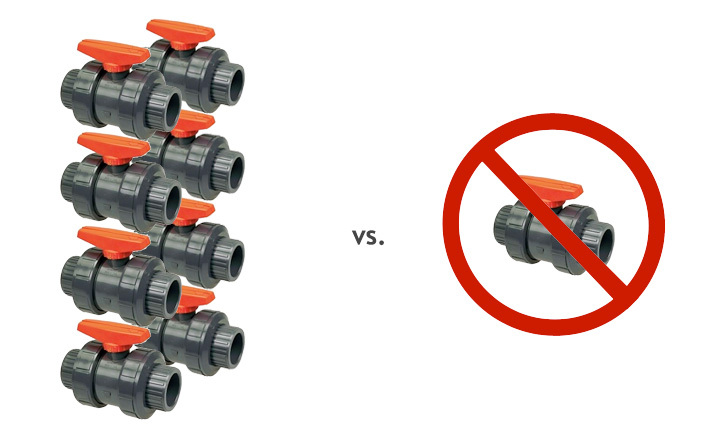 This leads to uneven flow between tubes when one or more are empty. This kills bait, and leads to the necessity of adding valves to each tube to control flow. Which leads to someone having to remember to adjust the valves every time a bait is added or removed. With Bait Socks each tube’s flow is independent of the others. So when a bait is added or removed it has zero effect on the flow of the other tubes. Constant, perfect flow, all the time. 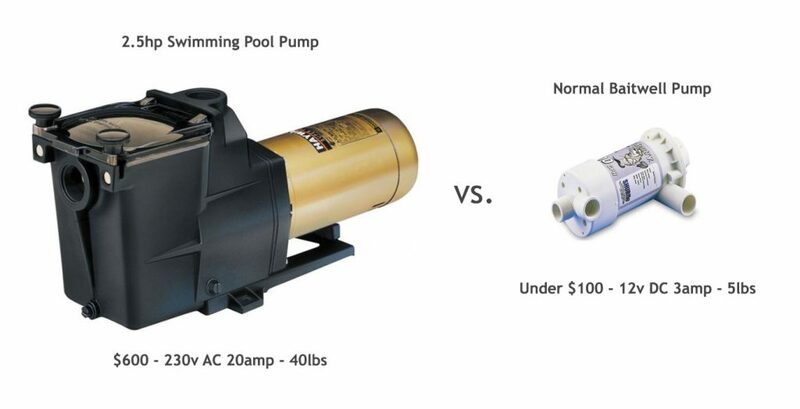 Traditional tuna tubes require large, multi-hp, energy hungry, expensive swimming pool pumps with large bulky plumbing just to keep bait alive. Bait Socks keep bait frisky with MUCH smaller pumps. Many customers utilize existing baitwells or washdown pumps with great success. Traditional tuna tubes are large, heavy and bulky. Removing them or installing them offshore is all but impossible. Bait Socks are easily removable, lay flat for storing and are a breeze to install. Need your livewell for small bait one day? Pull the Bait Socks out. Need big bait for a tourney? Put the Bait Socks in! Need to keep a single big bait alive and a tank full of small bait? No problem! Its as easy as that. While big boats take advantage of Bait Socks, they truly shine with smaller boats with limited deck and transom space. For example a 30’ center console may only have enough transom space for 2 traditional tuna tubes but they may have enough baitwell space for 5 or 6 Bait Socks, allowing them to compete on a level playing field with the big sportfish. 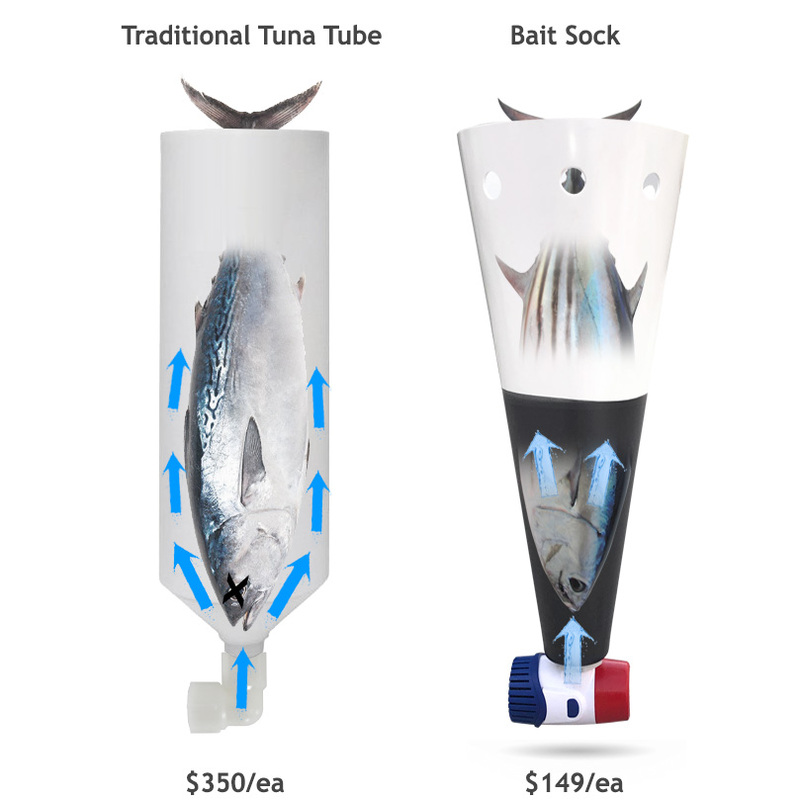 The cost savings of Bait Socks over Traditional Tuna Tubes is staggering. The cost of tuna tube installs can quickly approach $30-$50k with larger systems topping the $50k mark. On the lower side the cost of installing 4 tuna tubes can easily approach the $4,000 mark. In addition to the cost you will be cutting at least one very large hole in the bottom of your boat. With Bait Socks, a 4 Sock install can be as little $600 and even with custom mounting rarely will top $1,000. When the pressure is on, and the money is on the line you need to have faith in your equipment. Simply put, you need it to do its job. Bait Socks do one job and they do it very well. For existing baitwells no new plumbing is necessary. Bait Socks are available in a wide array of 12v dc configurations or even as bare wire for a fully custom install. 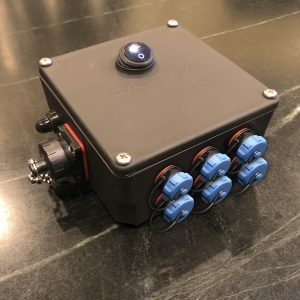 Many plug the Bait Sock hub into existing electric reel plugs, but you may choose other wiring options that suit your boat’s needs. Bait Sock Hubs make it easy to plug and play Bait Socks. Add as many or few as you need, as you need them. You no longer have to be a serious tournament angler with deep pockets to enjoy the benefits of fishing with big live bait. Bait Socks are affordable, half the cost of tuna tubes, portable and require little to no modification to your boat. The field has officially been leveled.